Hey again! 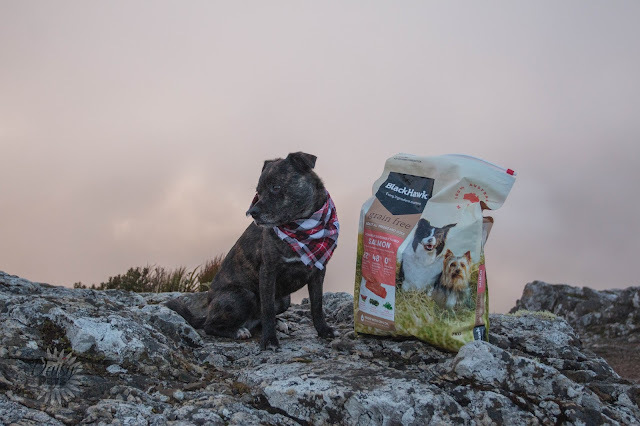 If you didn't see my last blog post, I suggest checking it out here first. Based on Sherwood Smallpets' video post in which she shows the things that are on her wishlist, I have started my own wishlists. Last post was my more obtainable wishlist of things I can purchase in New Zealand. This post will be my wishlist of American/UK cage items that I want. These are things that I have seen in other peoples videos or blog posts that they have rated highly, or I just think would be a great addition to my cages. To begin with, I have been loving the Seagrass Mat that I have been seeing in so many peoples cages. Usually by the time they show this mat, it is quite chewed up and hardly recognizable. To me that must be a great product if the pet is actually willing to destroy it. I have also noticed that the people that have this mat, always seem to have more than one in the cage, or in back up for once they destroy the first one. We have nothing similar to this in New Zealand so it is really top of my list for something I would love to try. Next is the Willow Tunnel that I have seen in a bunch of guinea pig cages. Like the Seagrass mat, this is usually ripped apart, and really well loved by the pigs. I believe that the exact tunnel I am thinking of is by the brand Ware, but correct me if I am wrong on that. BMO really loves the Fiddlesticks bridge that we have, so I can imagine that even if he decides he doesn't want to chew it, he will still enjoy it as a hideout. Following that, pretty much anything willow is on my list. For some reason, New Zealand doesn't have this large amount of willow toys and hideouts that other countries have. 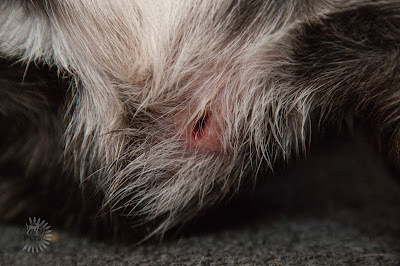 Based on what I have seen and read, willow is a hit with the guinea pigs and rabbits so I am extremely disappointed that I cannot get them here. The willow balls look awesome as Schmutz loves his large cat balls of a similar size to throw around, so one he could chew would be even better! 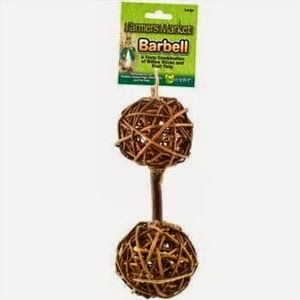 I have also seen Barbells made out of willow which look like a great toy that Schmutz would be able to throw around. Pretty much, just give me anything willow and I would gladly accept it. I am really a fan of Rosewood Boredom Breakers range (This brand makes the seagrass mat). 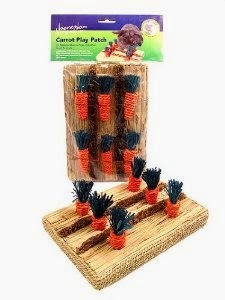 I think that the Carrot Play Patch that they have made is amazing. It is sisal, grass and corn leaf that has been shaped into a carrot patch, with carrots that are able to be removed from their holes. 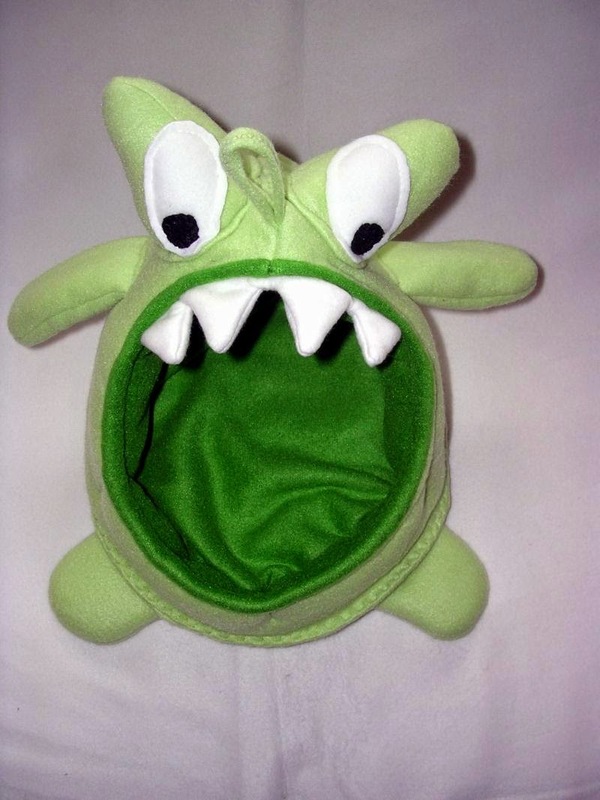 I think it is awesome as it is interactive, but still something that Schmutz would enjoy chewing on and will grab his attention and hopefully keep it. I have noticed that you can also buy the little carrots separately so if he has destroyed all the little carrots it doesn't mean that you have to stop using the base. 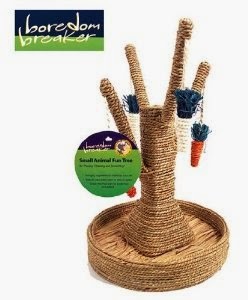 There is also the Small Pet Fun Tree that I really like the look of for an interactive toy that Schmutz will be able to play with more than just once. 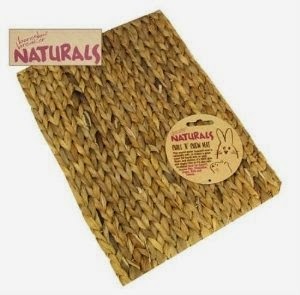 The Hay 'n' Hide Tunnels that they have come out with in their naturals range I also love the look of. I enjoy how they have made each toy interactive and also have more than one use. 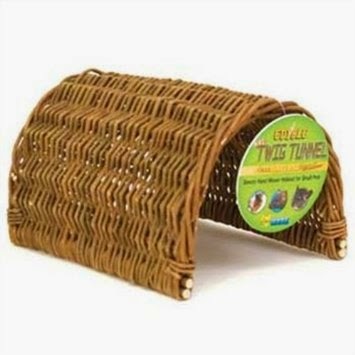 Instead of just making a tunnel which they can run through and hide, they have also attached hay to the outside so that the pet wants to chew it as well. Same with the other products I mentioned. There is a lot more of the Boredom Breaker line that I love, but for now, those are my top wants from that line. 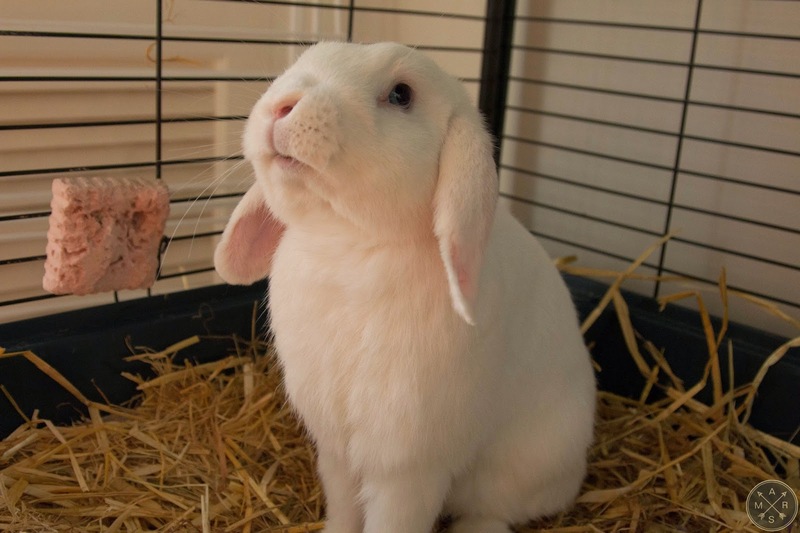 As you may or may not know, I use straw on the bottom of my cage. I have not changed to the fleece like a lot of other pig owners. However, I saw a video the other day that may have made me change my mind. Carislittlepiggies on YouTube posted a video of her Piggy Palace haul where she was showing her recently purchased Cupcake Beds. I was in love with them and I can actually imagine how much BMO would love cuddling up in one as he loves to be in my sweatshirt and dressing gown pockets. After looking up the Piggy Palace website I realised that even better than the cupcakes (Since I have boy pigs) were the Crash Pads that they make. Out of all of them, I most want a monster one, but in all fairness, if I got any of them I would be the most excited pig owner ever! Out of this list, this is one think that might be a bit more achievable as if she offers overseas shipping, it won't cost as much as a heavy wood object, and will also not get stopped at customs for any reason. I will get these one day! That will be all for my wishlist for today, but there will be a part #3 coming out at some point so keep tuned for that one. I just wish that international shipping was cheaper as my list keeps growing daily and its not fair that I can't join in on these awesome products.